Maybe you’ve just bought your dream home and want to start throwing around some new ideas. Or perhaps you’re down-scaling and want to create a desirable living space. We’re going to give you your new style bible and show you exactly how to redesign your space, for whatever reason you may have. 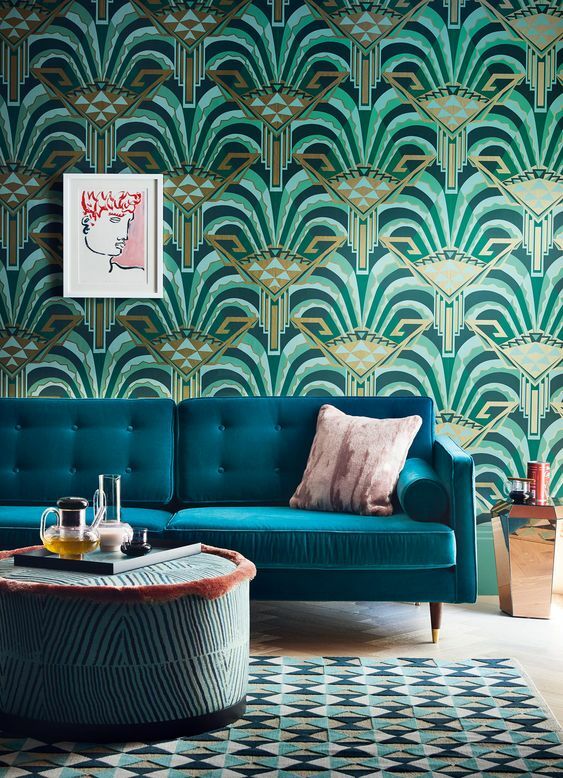 This week, we’ll be looking at the ‘Art Deco’ style. This interior style oozes all things glamorous. Think rich colors, metallics, and occasional animal prints. But aside from the ‘extra’ that it’s associated with, it’s also commonly known for its bold, geometric shapes with sharp edges. Here are some art deco pieces that we really love. Make a statement with this beautiful trapezium chair. Although Art Deco, the piece also gives off some 70’s vibes. It would look great set against a bold wallpaper print. Or for smaller rooms, use light coloured furnishings so your chair has maximum impact. These ultra art deco-style tables are a great addition to any living room. Pair with some gold accessories and potted plants for a 20’s vibe. This beautiful mirror could be a great addition to any room in the house. Lighten up a hallway, add presence to your living room, or use in your bathroom as a statement piece.